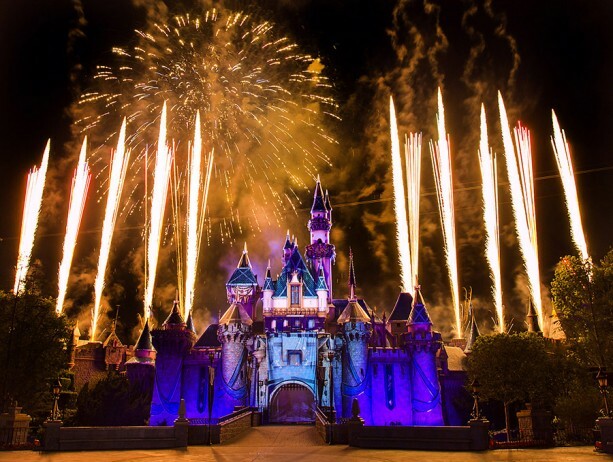 Disneyland park – “Disneyland Forever,” the all-new street-to-sky fireworks spectacular, will be presented July 4 at 9:30 p.m. Following the show on that night only will be a patriotic, pyrotechnic grand finale to celebrate America’s birthday. Disney California Adventure park – On July 4, a special pyrotechnic water display will be presented at the start of all three performances of the new “World of Color – Celebrate!” at 9 p.m., 10:15 p.m. and 11:15 p.m.
Military Bands – Several outstanding Air Force and Marine bands will be performing at locations throughout the Disneyland Resort, from July 2–6. 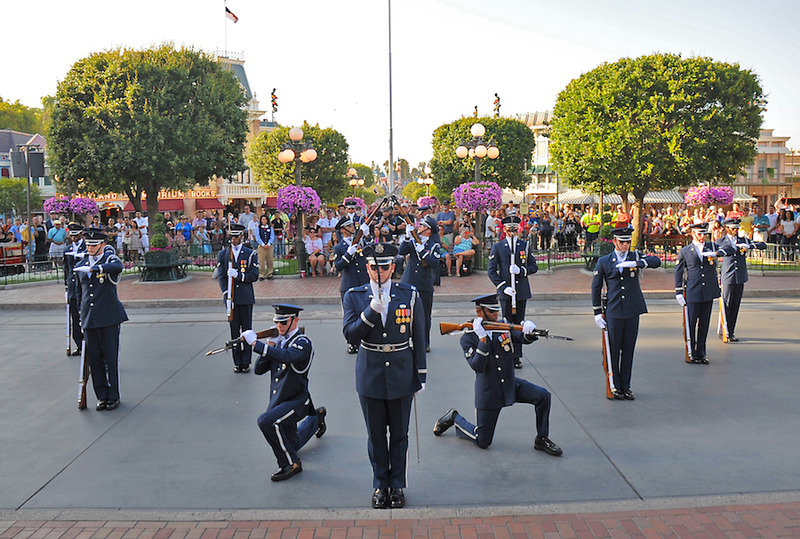 Magic Kingdom Park – “Disney’s Celebrate America! 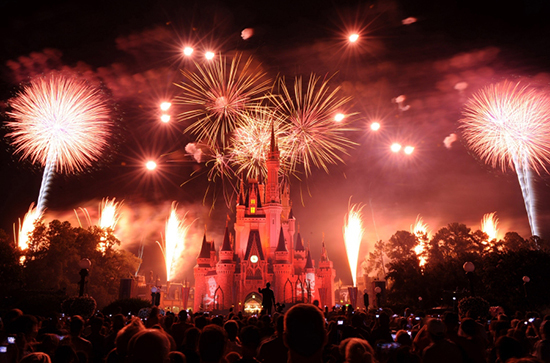 A Fourth of July Concert in the Sky” rockets into the air above Cinderella Castle. This special, fireworks spectacular will be presented two nights in a row, at 9 p.m. on both July 3 and 4. Epcot – On July 4, enjoy a special concert of great American songs by Voices of Liberty at America Gardens Theater, where they’ll be performing at 12:30 p.m., 1:45 p.m., and 3 p.m. You can also meet Chip ‘n’ Dale in patriotic attire outside The American Adventure, and at 10 p.m. that evening “IllumiNations: Reflections of Earth” joins the celebration with the addition of a heart-pounding, all-American grand finale. Disney’s Hollywood Studios –The “Coolest Summer Ever” Dance Party leads up to a “Rockin’ 4th of July Celebration,” as the sky above Disney’s Hollywood Studios ignites in a shower of shimmering light for a pyrotechnic, rock ‘n roll road trip across America. The DJ kicks things off at 5:45 p.m. and keeps the party going until fireworks time at 10:15 p.m.
Will you be spending the Fourth of July at a Disney park this year? Have you in the past? If not, how will you celebrate this year and let freedom ring? Happy Fourth of July to all!